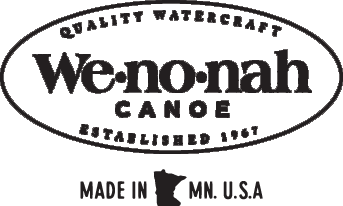 The Escape is a shorter version of the popular Minnesota II, with similar lines and the increased maneuverability that comes along with a shorter canoe. Our medium sized performance tandem, it's a very versatile craft. The Escape is a sleek performance canoe that will paddle well on streams and rivers, as well as larger lakes. It has fair depth and width to hold plenty of gear, while its flared bow and extra depth at bow and stern keeps you dry in the choppiest waters. Actual colors may vary due to display differences. May not be the Escape. Shown with optional black aluminum trim. 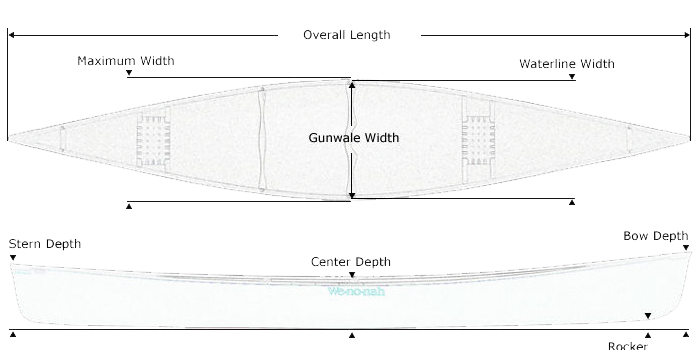 Tuf-weave® Flex-core canoe shown with Standard Options, may not be the Escape. Kevlar® Flex-core canoe shown with Standard Options, may not be the Escape. Kevlar® Ultra-light canoe shown with Standard Options, may not be the Escape. Graphite Ultra-light canoe shown with Standard Options, may not be the Escape.